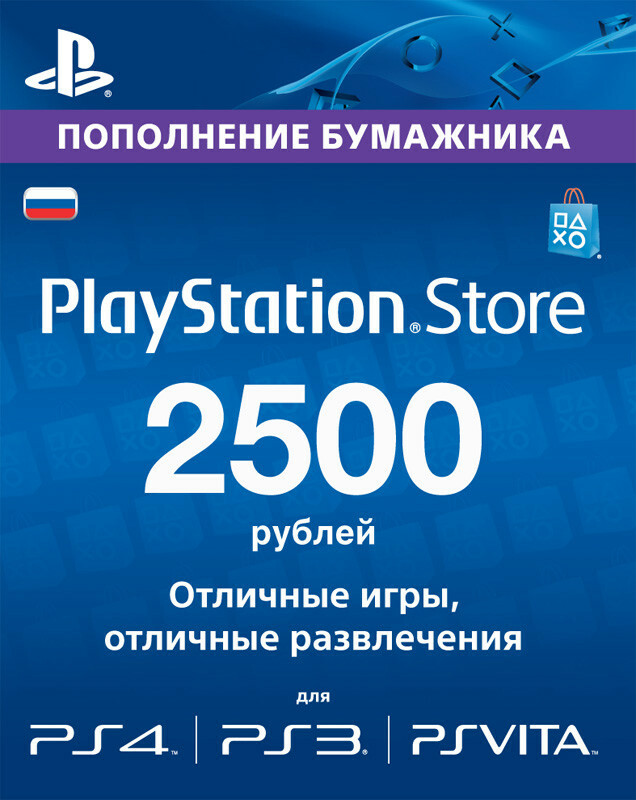 The PlayStation Network payment card for 2500rub (one card) is automatically displayed in the browser window and comes to your email immediately after purchase. 2. Log in to Playstation Store via PlayStation4, PlayStation3, PSP, PSP Go or Media Go software on your PC. 3. Choose Redeem Prepaid Card. 4. Enter 12 symbols of the code and click "Continue"
5. Follow the instructions on the screen to finish code redeeming. This code can be redeemed only on Russian accounts! Оплатил с помощью карты, всё сработало, спасибо! Всё сразу пришло и заработало! Спасибо! Код пришел. Средства добавились на счет. Спасибо!